Mt. 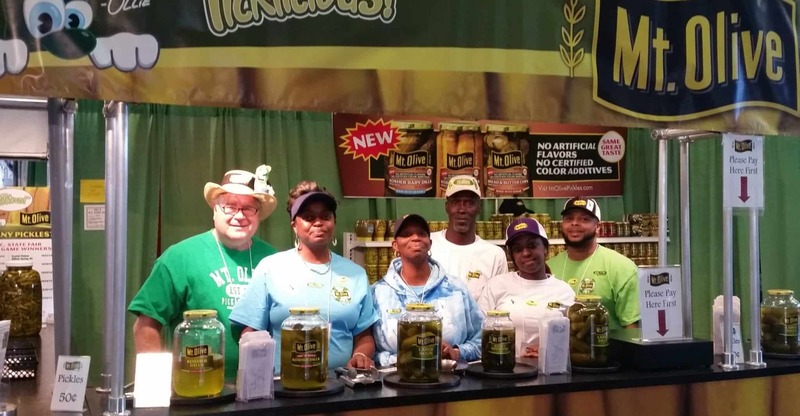 Olive Pickle has enjoyed an annual presence at the N.C. State Fair in Raleigh since the early 1950s, making us one of the longest-running commercial vendors at the fair. We have a new location in 2016! Find us in The Marketplace, a huge tent across from the Rabbit Barn and adjacent to the N.C. State Howling Cow ice cream stand. We’ll be one of a number of commercial vendors in this space.